Brsibane`s housing market is holding reasonably firm, with dwelling values unchanged over the month and only 0.3% higher over year to date. Core Logic has released their newest housing market update for November 2018. House values are the primary driver of the steady conditions, helping to offset an improving but still negative annual change across the unit market. 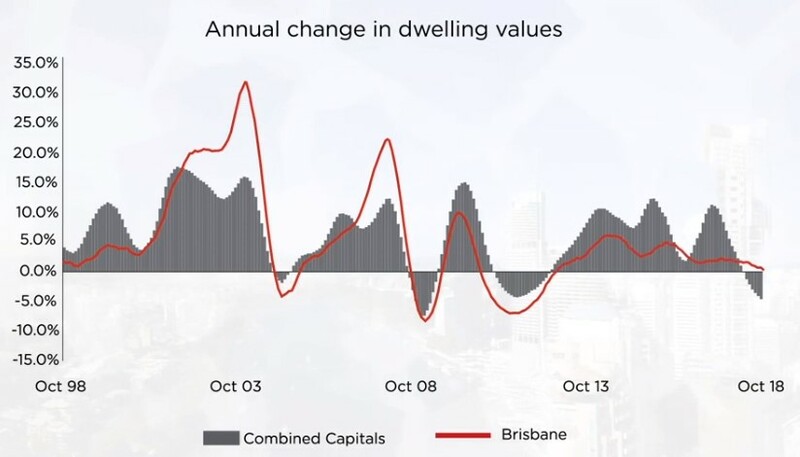 Brisbane unit values remain 11.2% below their previous record high recorded back in 2010, however with high supply levels moving back towards balance and rising demand, we may start to see this sector showing a consistent improvement. Housing values in Brisbane remain $342,000 lower relative to Sydney and $173,000 lower relative to Melbourne. This comparative affordability is likely to be a key factor attracting more migrants into the Brisbane region.